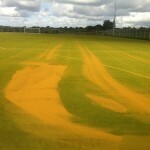 The initial stage for sand filled pitch construction is the ground works and foundations. This involves measuring out the size of the sand filled pitch and then creating the foundations based on the size. 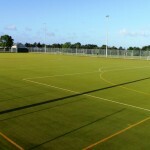 The sports mainly used for sand filled pitches are hockey and five a side football so the size of a sand filled pitch construction job is usually based on the dimensions for these sports. We have to build the sports pitch on top of a sub base to allow for the pitch to be completely smooth, and a flat playing field; this increases the playing characteristics dramatically. Be sure to contact us today if you would like to ask about the costs and designs of these sports facilities. One of our experts will get back to you as quickly as possible to discuss the work in more detail and give you a quote. 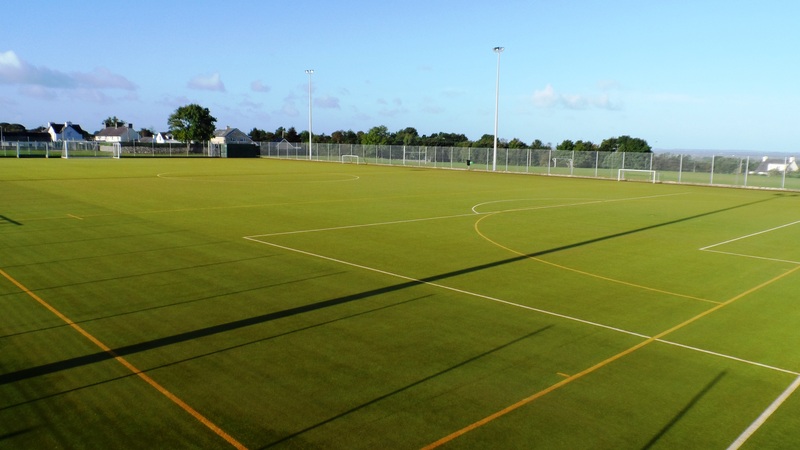 The sand filled pitch construction creates a completely porous sports facility that is suitable for all-weather use, which is perfect for schools and colleges that have to use the facility all year round, even through the winter months. 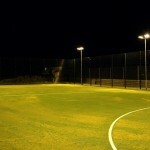 There are lots of different options to allow more customisation for your sports pitch; this includes a variety of fencing and floodlighting options which can be designed to meet your requirements. 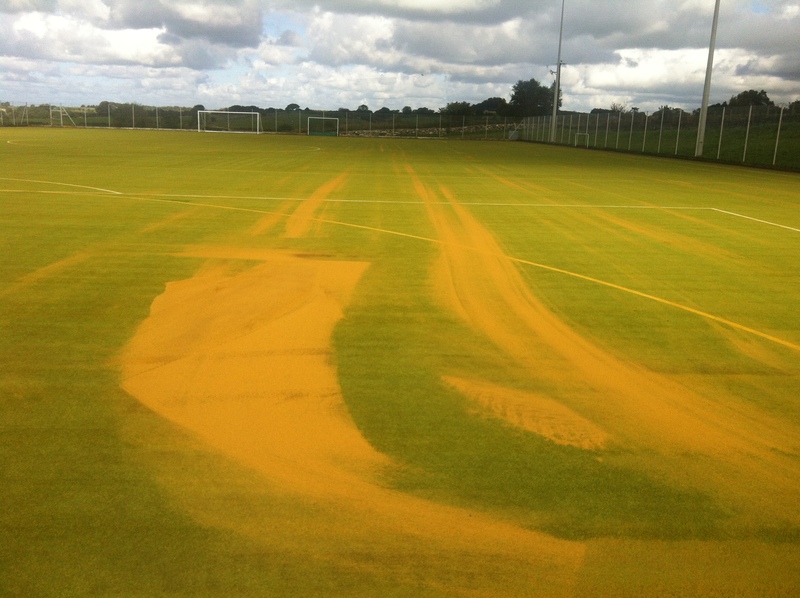 The pitch is filled with sand to allow for more grip for the athletes and players using the pitch, it also makes sure that the grass fibres across the pitch remain the same height and structure, improving the playing characteristics. The sand filled surfacing installation costs will vary from job to job; the most influential part on the overall price of the facility is the size in which the client wants the sand filled pitch construction to be carried out for. Obviously the bigger the sports pitch, the more expensive the final asking price will be. The location of the job will also play a part in the overall costs of the project, as the job will be done over a period of a weeks, we will have to pay for accommodation for our construction team, which will increase the price. We can also customise the price for you through a variety of different extras we have on offer, if you would like any extras at all that is. We offer a variety of different fencing and floodlighting options to give you the perfect all round facility for your school, this can help keep sand filled surfacing installation costs down. 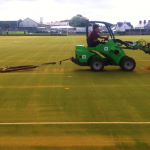 We also suggest having a regular maintenance scheme in place to ensure that you can make the most out of your sports pitch in the long term, through an increased product life and excellent performance characteristics. 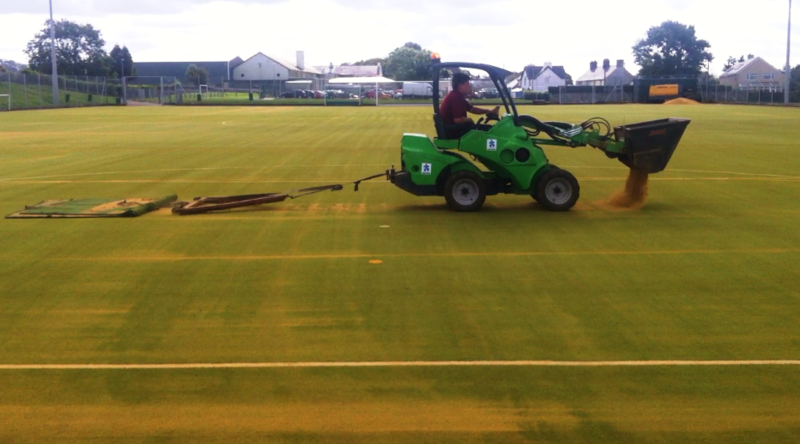 The video above shows a full hockey pitch construction that we carried out using the 2G synthetic turf specification. Our team laid the groundworks along with the artificial carpet to leave a seamless finish. We offer the highest quality products at a great value for our customers, giving them the freedom to choose options which help stick within their budget. Every project is different and we are able to customise the work to suit whatever you need. Make sure you use our contact form to get in touch with us if you need more information on sand filled pitch construction. 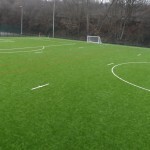 We can supply you with detailed product information as well as an estimate of costs for installing a sand filled pitch to your school, sports club or leisure centre facility.